There is a reason our ViSalus Body by Vi Transformation Kit is the #1 Challenge Kit used by Body by Vi Champions. It is the most comprehensive Kit to help achieve maximum weight loss results. 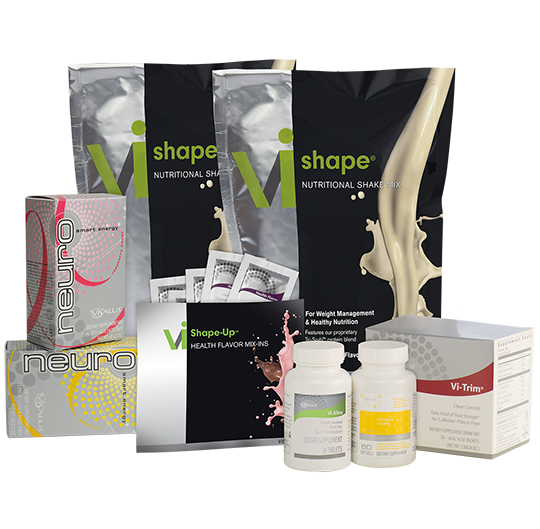 The Body by Vi Transformation Kit will support your body’s healthy physical transformation and is packed with ViSalus™ products that target hunger control, increased metabolism and healthy nutrition to safely shed unwanted pounds fast. Like all ViSalus Body by Vi Shake Kits, our Transformation Kit is convenient and easily fits into your busy everyday life. ViSalus Vi-pak® Omegas twice per day for healthy omega benefits from head to toe. Many folks that have tried other weight loss programs and plans with little or no success often ask us weight loss results with Body by Vi Challenge Kits. Steven Morganstern, M.D., a renowned board-certified physician in Atlanta, has integrated ViSalus Sciences products and Body by Vi Challenge Kits in his medical practice and now has over 250 patients safely using the products for weight loss and diabetic control. Here is what Doctor Morganstern says about his experience with the Body by Vi Transformation Kit: “My patients who use the Body by Vi™ Transformation Kit are experiencing amazing weight loss results, increased lean muscle, along with improved nutrition and energy levels. I recommend this Kit for individuals with a goal of accelerated shaping, enhanced metabolism, improved nutrition and peak energy levels. My experience shows the Transformation Kit is effective in controlling hunger, the culprit that sabotages many weight loss efforts.” Read more about ViSalus weight loss results . Order your ViSalus Body by Vi™ Transformation Kit today and rest assured with the NEW Body by Vi Challenge 90 Day Money Back Results Guarantee!